I am a huge fan of Daniel Radcliffe. 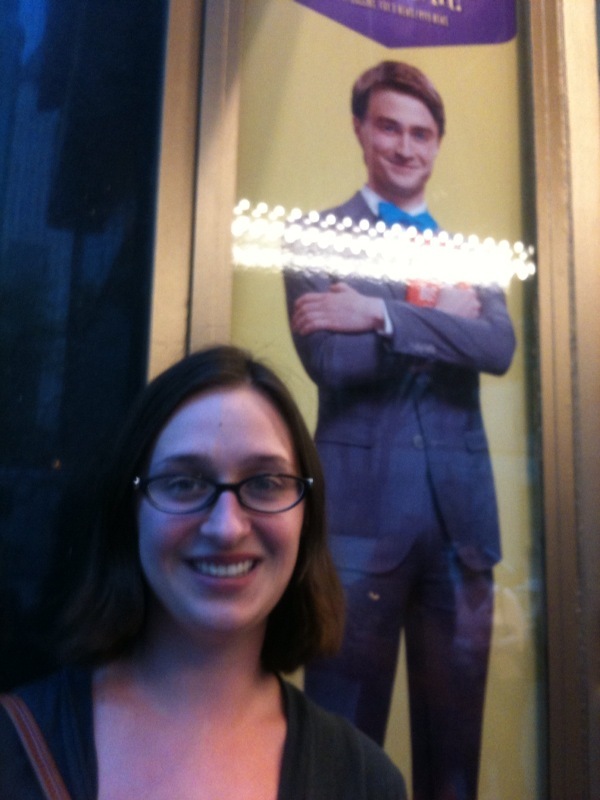 I saw him in all the Harry Potter films (obviously) and in Equs on Broadway a few years ago. For graduation, my brother got me tickets to see him in his latest play, How to Succeed in Business Without Really Trying. It was fantastic! Since then I have also seen The Woman in Black (movie). It wasn’t the greatest movie ever made, but for a thriller/ghost story it was pretty fantastic. The setting/visuals were stunning. I hear he is wandering around Brooklyn filming his latest movie, where he stars as Allen Ginsburg. One of these days, I am hoping to cross paths with him. Or maybe just wait outside the theater to get his autograph. Previous Post Happy St. Patricks Day!